I recently finished up a new construction home. The job that was done by the the plasterers was, to say the least, sub par. 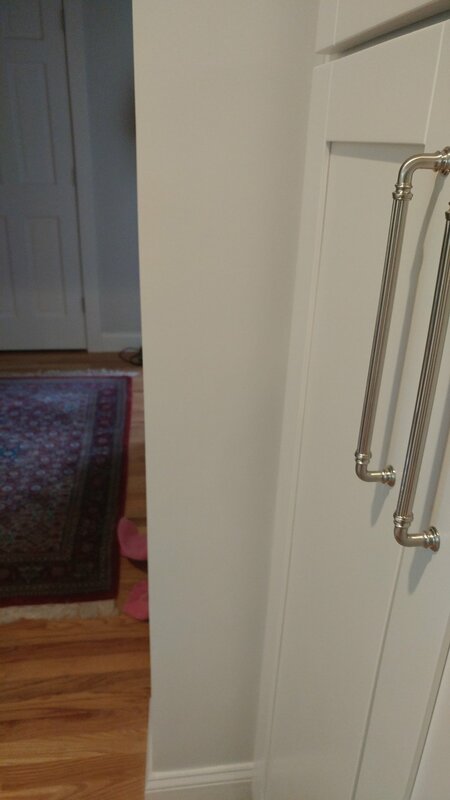 We noticed that one of the entrance ways in the kitchen had a long crack about 1 1/2 inch away from the corner all the way up the side of the entrance. This is a good sign that the corner bead is separating from the wall. When I knocked out the plaster to repair it, I found that there was no wall for the corner bead to attach. The plasters had put no blue board behind the bead board. Durabond (a very strong type of joint compound) was put in the gap, and then fibafuse (a fiberglass joint compound tape that is seven times stronger than paper tape) was used to help ensure that the crack does not come back. It look brand new once sanded, primed and painted.